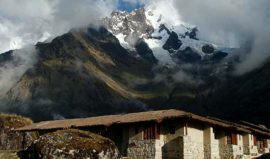 The Salkantay Lodge to Lodge trek is perfect for those who want a beautiful, less busy, remote region trek and a bed to sleep in at the end of each day’s walk. 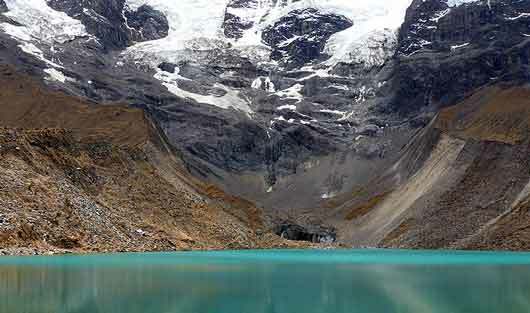 The trek has amazing views of Mt Salkantay (6,2711 metres). 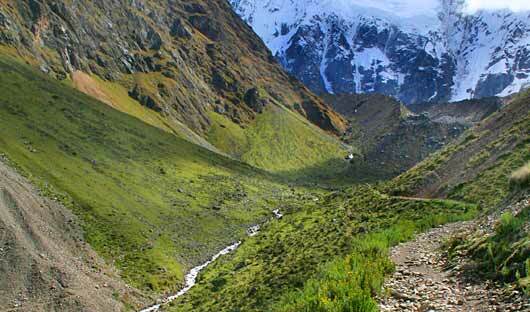 The trek route takes you along Inca pathways (just not the famous ‘Inca Trail’) ending up at Machu Picchu. 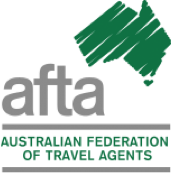 You will be met by your tour guide and driver at your hotel in Cuzco. 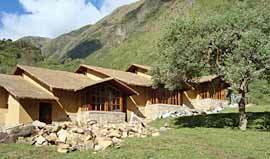 The first stop will be at the Inca ruins of Tarawasi then stop in at the mountain village of Mollepata. Here you will visit El Pedregal, a beautiful farmhouse where your guide will explain the ways of local agriculture and livestock. 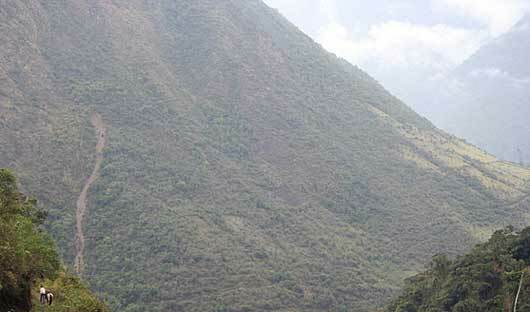 You will continue by road along a winding mountain road to a site called Challacancha. This marks where your hike begins. Follow the picturesque path called ‘Camino Real’ (Royal Path) until you reach the Salkantay Lodge where you will spend the night. 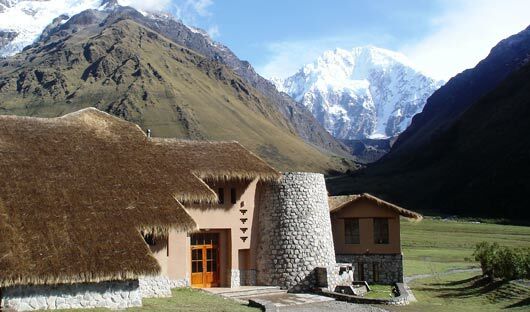 The Salkantay Lodge is surrounded by spectacular mountains and is equipped with an outdoor Jacuzzi to relax after a day full of activities. Enjoy inventive menus that incorporate the regions most iconic dishes. Ingredients are sourced locally as is the organic coffee served with breakfast. After breakfast, enjoy a half day hike to Lake Humantay. 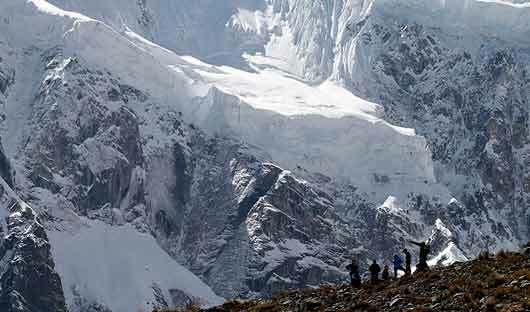 Ascend up the slopes that border the plateau behind the Salkantay Lodge for approx. 1.5hrs until the turquoise water of the lake comes into view. Relax and enjoy a snack on the shores of the tranquil lake before returning to the lodge where you will be served a hot lunch. The afternoon is at leisure. You may wish to relax in the outdoor Jacuzzi and enjoy the scenery. After an early start, hike up the Rio Blanco valley, circling Humantay Peak. As you gradually make your way up these mountain trails, you will encounter expansive plateaus dotted with boulders of varying sizes, the remnants of a valley that was once bisected by a fast-flowing river. 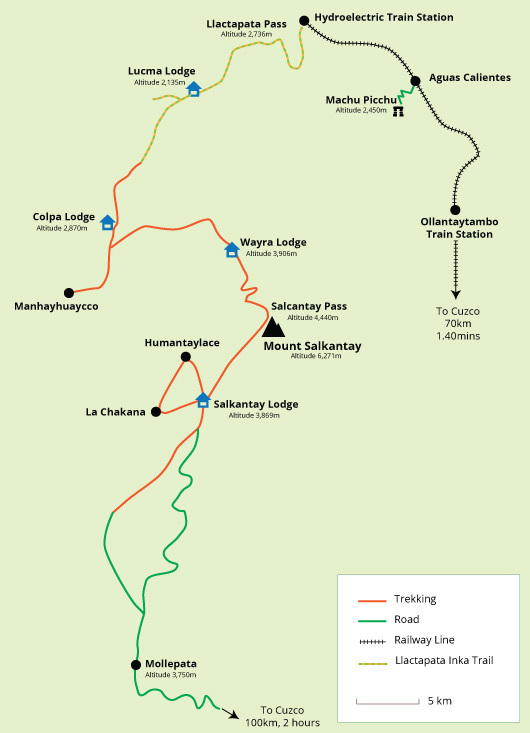 The final and most challenging part of the ascent is conquering the mountain switchbacks that take you to the Salkantay Pass, the highest point on the trek (4,636 m). Once over the pass descend through fields of giant boulders, often shrouded in fog. After a hot picnic lunch, continue down through bucolic rolling hills and marsh-like plateaus until you arrive at the Wayra Lodge at Wayraccmachay. 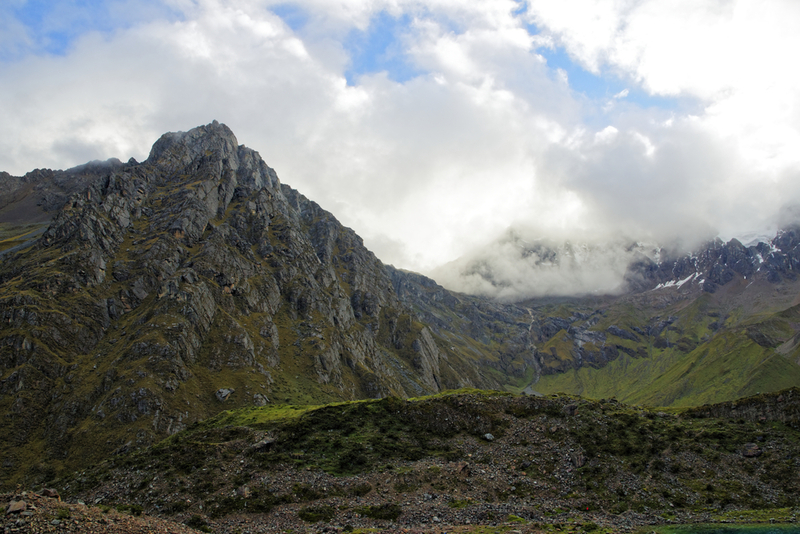 Below Humantay mountain the remote, family run Wayra Lodge boasts stunning views. Enjoy a Jacuzzi in an inner courtyard after a day of hiking. Enjoy a delicious meal before retiring to one of the lodges 6 comfortable rooms, each with a private bathroom and gas heating. The hotel is situated at 3,900m. After a leisurely breakfast continue the descent along the banks of the Salkantay River through increasingly verdant scenery. Today you will see more of the local people as the trail takes you past their homes and makeshift fences. Arrive just before lunch at Colpa Lodge, located on a high promontory at the confluence of three rivers. You will be greeted by the staff with a Pachamanca lunch, a traditional Peruvian meal cooked in the earth by hot stones that create a natural underground oven. After lunch, spend the afternoon at leisure. You may wish to enjoy the outdoor Jacuzzi whilst taking in the panoramic views of the lush green mountains that surround you. 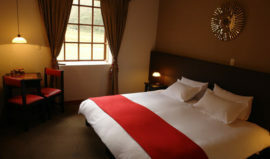 The Colpa Lodge has 6 rooms all with heating and private bathrooms. A panchamaca meal (traditional meal made on hot stones) is usually prepared. There is an outdoor Jacuzzi to enjoy after a day of hiking. This morning enjoy a hike through the Santa Teresa River valley where you will hop over small streams fed by waterfalls descending from the glaciers and cross through fruit orchards. After breaking for a hot picnic lunch by the river, continue walking for one hour before you are met by a vehicle for a short drive to the beginning of the “Llactapata Inca Trail” that leads to Lucma Lodge. On the way visit an organic coffee plantation, one of many in that area that produces some of the best organic coffee in the world. In Lucmabamba, you may notice the warm air and increased humidity, an indication that you are close to the edge of the Amazon Jungle. Hike for 2-3 hours up a path mostly comprised of original Inca steps. Your first milestone today will be the top of the peak, the last one before you reach the Aobamaba River valley that connects you to Machu Picchu. When you arrive at the ruins of Llactapata at the Llactapata Pass (2,736 m), you have a southeast view of the Machu Picchu ruins. Enjoy your lunch a bit farther down the trail in a meadow with panoramic views. The final descent takes you through lush bamboo forests, until you arrive at Hidroelectrica train station. A one-hour scenic train ride finds you at your final stop, the town of Aguas Calientes at the base of Machu Picchu. At dawn, you begin your journey to Machu Picchu with a short and rollicking uphill bus ride. Prepare to be awed by the imposing and skilful architecture of the Watchtower, the Temple of the Sun, and the royal Inca residences, among many others. 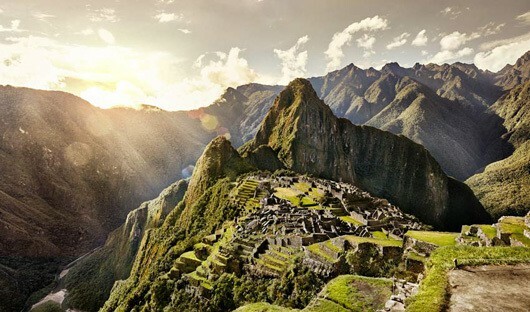 Your imagination will soar as you contemplate the history of Machu Picchu and its mysterious origins. After the visit at Machu Picchu you will have lunch in Aguas Calientes then board your train to Ollantaytambo station where you will be met for your transfer to Cusco.